Sponsor a Wreath - Honor a Hero! Interested in Advertising here? Contact the Commander! Welcome to all new and returning members, from all the Post Officers and Members. Donations are being accepted for American Legion Programs. Please contact the Commander to contribute. 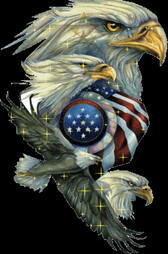 We are a 501c (Tax-Exempt) veterans organization and receipts will be given for contributions. We have given donations to The "Blue Santa" organization in Leon Valley, the "Camp Corral" organization, and the "Military Veterans Day Parade Association in the month of December. Everyone is encouraged to sign up at least one new member for the Post, we have membership applications. Save $100.00 becoming a Paid-Up-For-Life member! Welcome to all our new members and thank you, everyone, for making our membership drive a success! Please contact Bill England , at 210-643-3337 to see what you can do to support this effort. Please keep sharing our programs and “Just Ask” someone to join. We are currently recruiting for the 2018-2019 year, we have a goal of 995, we currently have 791 members, 79.50% of goal, as of 4/04/2019. If you have not paid your dues for this year, please go online with the American Legion site to renew or contact a member of the Executive Committee for assistance. The 20th District Spring Convention will be held on Sat., 6 Apr. 2019 at Post 667, 504 Bowie, Universal City, TX 78148. Registration will begin at 8 A.M. The Fiesta & Fireworks celebration will be held 20 April 2019 at JBSA Ft. Sam Houston Macarthur Parade field, from 1-9:30 P.M.
District Fundraiser Sat. 18 May 2019, Armed Forces Day Missions Baseball game. There will be a Roll Call at Ft. Sam Houston Cemetery at shelter 3, 25 May 2019 at 8 A.M.
Our location for Texas Charitable bingo is 2716 Fredericksburg Road. The nights we have bingo are Thursday and Friday at 6 - 10:30 PM, so go and enjoy the bingo games. We now are on FaceBook, search for "Audie L. Murphy American Legion Post 336" in FB. The site is now "OPEN" to the public to view. Our Auxiliary is recruiting new members, their Membership/Renewal Person is Margaret Ozuna, she can be contacted at alaunit336@texaspost336.org, cost of membership for a year is $34.00. The Boys State Orientation, for 2019, will be 8 May 2019, at Post 2. We'll be taking nominations in March for the post. The bus will depart on 9-Jun for Austin from Post 2. We are scheduled for a community event Saturday 27-April/0800 till app 1030. This is to do a cleanup of Audie Murphy Parkway (Evers Road from Huebner to appx Rue Sophie). We will meet at the Leon Valley Public Library, 6425 Evers Road 78238, at 0800. Please wear bright clothing. Public works will have some reflective vests. Happy "Centennial Birthday" to our Great Organization. 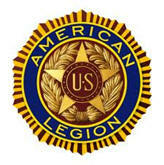 15 March marks the 100th year of The American Legion. We celebrated at our General Meeting Weds. 20 Mar 2019, at 7 PM, at Leon Valley Elementary School Cafeteria. Visit “The American Legion, Centennial" page online. If you have a myLegion.org login you can access the Centennial Pages. For more information, please call 210-823-1416. Next General meeting is Wed., 17 Apr. 2019, 7 to 8 PM, Leon Valley Elementary School Cafeteria, 7111 Huebner Rd., San Antonio, TX 78238. The Post 336 Auxiliary will meet at the same time in the School Library. A new member "Initiation Ceremony" will be conducted. Fuddruckers Restaurant 11654 Bandera Rd. at Loop 1604 is on 24 Apr. 2019, time 4-9 PM. When you buy something put your receipt into the bucket provided and Fuddruckers will give a percentage back to the Post. Eagle Pass Trip, Sun., 26 May 2019, 9 AM to 9 PM. Cost is $30.00 for transportation (round trip). Our location for Texas Charitable Bingo is 2716 Fredericksburg Road starting Thursday, Jan. 21. The days we will have bingo are Thursday and Friday nights at 6:00-10:30 PM. We do not have to provide volunteers or work during bingo, so go and enjoy the bingo games. Want to Join the Legion? Are you Eligible? Click Here! Want to add something to the website, contact the webmaster?